This video shows coyotes hunting very much like larger wolves, but it also shows you an odd thing about mule deer. Mule deer stick together. Mule deer that are not related to a fawn will come in to defend it, while white-tail does defend only their fawns. This makes some sense. White-tails evolved in dense forests where it was pretty easy to hide fawns, while mule deer evolved in open country. Kin selection would favor the genes of mule deer that were willing to come in and defend fawns of related does. So this is really amazing footage, which shows can cooperatively hunt very much like wolves. These are Western coyotes, which typically aren’t thought of as pack-hunters, but under certain conditions, they absolutely can work as a pack. I like the way this elk hunter clearly stated that we shouldn’t kill every coyote we see and definitely sees a place for them in the ecosystem. Mule deer aren’t as numerous as they once were. They have definite habitat requirements, unlike white-tails, which live in virtually every town in the East. Since wolves have been extirpated from most of the West, is it possible that increased coyote numbers could be affecting mule deer populations (even at the margins)? We know that when wolves came to Yellowstone, they cut the coyote population by half. Wolves are not major predators of pronghorn, but coyotes take many of their fawns. When wolves kicked the coyote numbers down a bit, the pronghorn population began to recover significantly. Wolves certainly do hunt mule deer, but in the West, they have options to go after elk and moose. Coyotes might take elk and moose calves, but they aren’t likely to be a problem for most mature individuals. Maybe something similar is going here, but I should caution that the real problem facing mule deer in the West is habitat loss, and although predator control can fix the problem at the margins, it won’t solve the habitat problem. Off the southeastern coast of Africa, the British Empire still holds onto some islands. The most famous of these is St. Helena, where Napoleon lived out his final days in his second exile thousands of miles from France and Europe and any trouble he might want to cause. On two of these islands, though, a taxonomic controversy has brewed for decades. On Gough Island and Tristan da Cuhna, insular forms of moorhen (also known as gallinules in much of the US) existed. They were smaller than the common moorhen, and they possessed shorter wings. In this way, they exhibited both insular dwarfism, a common trait of organism evolving on isolated islands, and the loss of flight that sometimes happens when birds evolve without selection pressures from predation to ensure flight in the population. The moorhens on Gough Island, nearly 400 miles away, were quite similar to those on Tristan da Cunha, and in the 1950s, some Gough island moorhens were introduced to Tristan da Cunha. These Gough Island birds did quite well on the new island. where an estimated 2,500 breeding pairs now exist. However, because these birds were introduced from Gough Island, they are not regarded as native and are not protected. Traditionally, experts have regarded the Gough and Tristan moorhens as distinct species. The Gough species is called Gallinula comeri, while the extinct Tristan species is called Gallinula nesiotis. However, over the years, it has been suggested that the two were of the same species, and the introduction of the Gough species was actually a reintroduction. Not many DNA studies have been performed on these birds, but the most notable is Groenenberg et al (2008). This study examined samples that have been collected over the past two centuries, including a specimen from Tristan da Cunha that was collected in 1864. The authors found that the two forms were roughly genetically distant from each other as different subspecies of the common moorhen. Indeed, if one were wanting to keep the common moorhen a monophyletic species, one would be forced to include these two insular forms as subspecies of the common moorhen. The authors found that the Gough moorhen had replaced the Tristan form, and they were different taxa. However, because their genetic difference was equivalent to the genetic difference between some common moorhen subspecies, the authors proposed that these two forms be regarded as subspecies, which they propose as Gallinula nesiotis nesiotis and G.n. comeri. However, the debate gets fairly interesting here because the South American common moorhens are typically considered subspecies of a quite wide-ranging species. When the authors performed their research, the common moorhen was believed to have existed in Eurasia, Africa, and the Americas, but in 2011, the New World population was given full species status, which is usually called the common gallinule. Taxonomists fixed the paraphyly of the common moorhen by creating this new American species (Gallinula galeata). But this study does not fix the controversy about the moorhens on Tristan da Cunha. Even if the Gough and Tristan populations constitute different subspecies, a real debate can be made as to whether the birds on Tristan da Cunha represent an introduction or a reintroduction. And this is where the subjectivity part of taxonomy sets in. If the Gough subspecies behaves in the ecosystem in an equivalent way to the extinct Tristan subspecies on Tristan da Cunha, then one could just make the argument that the arrival of these birds in the 1950s was a reintroduction. If they behave in a fundamentally different way from the extinct Tristan birds, then they were simply introduced and certainly don’t require any special protections as a native species under the law. But the subjective part is where to draw the line between being fundamentally similar or fundamentally different. Yes, the Gough subspecies is genetically different, and it may have some attributes that cause it behave just slightly differently from the extinct Tristan subspecies. However one answers this question, one should keep in mind that it cannot answered so easily. This debate is quite strong, not just in gallinules and moorhens, but a big debate exists within some quarters as to whether the feral horses of the American West represent a rewilding from the Pleistocene. Horse evolved in North America and then became extinct at the end of the Pleistocene, but a huge debate exists on how to classify the various late Pleistocene horses. They may have been a single species that was very close to the modern horse. In which case, the feral horses of the American West might be argued to be rewilding population. A more recent study on cheek teeth and ancient mitochondrial DNA of these horses revealed there were three species of horse in North America at the end of the Pleistocene, one of which was very close to the modern horse. However, I’ve often thought about what would happen if we somehow got greater prairie chickens to thrive on the East Coast once again. A subspecies of the greater prairie chicken called the heath hen once ranged all the way down the coast from New England to Northern Virginia. 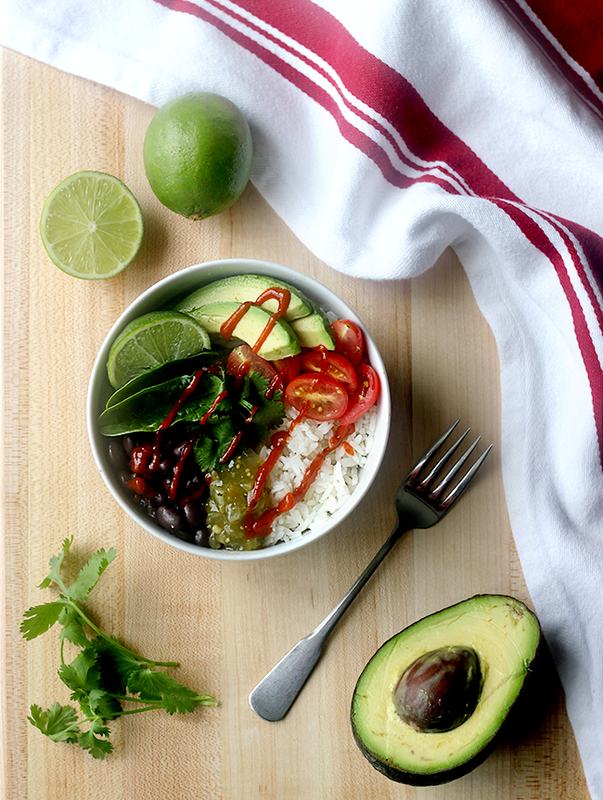 It was a colonial staple, and it was hunted out of existence. The last population of these birds lived on Martha’s Vineyard, and the last one died in 1932. Attempts have been made to introduce greater prairie chickens to the island in an attempt to restore something like the heath hen to the island, but these attempts have fails. If such an attempt were successful, it would be very much like the replacement of the Tristan moorhen with the Gough subspecies. A debate could be had as to whether it was was reintroduction or not, but at least it would be something. So the story of the moorhens on these South Atlantic islands tells the story of a controversy. It is one that rages in the conservation community all the time. Can you restore an extinct subspecies by introducing another related subspecies? That answer is never going to be fully black and white. Ecological as well as taxonomic considerations have to be examined. Otherwise, someone could easily make the argument that wolf reintroduction and conservation are silly ideas, because, well, domestic dogs are everywhere. Dogs are a subspecies of wolf, so they just replaced them. So this controversy will rage hard as we try to deal with this nasty extinction mess. We don’t always have all the answers. We don’t always have the best solutions. But we need to think it through carefully. It’s all gray or grayish. 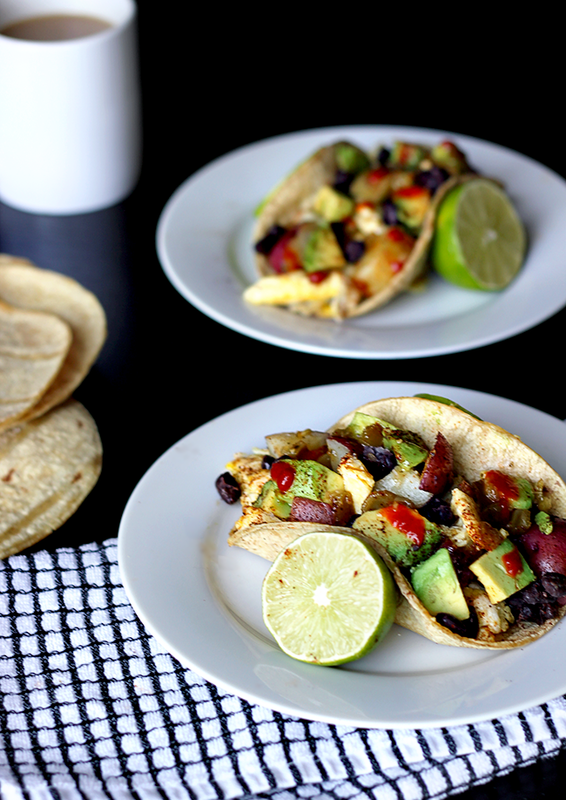 Whether you know me in real life or through this blog, you’re probably aware of the fact that I love Mexican food. I mean, love. 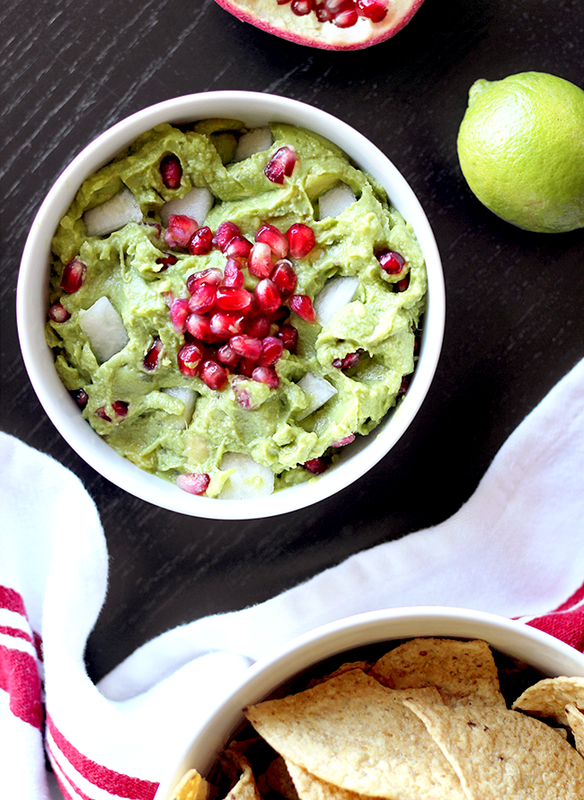 And lucky for me, everyone in my house loves it too, so we eat it in some form at least a couple of times a week. 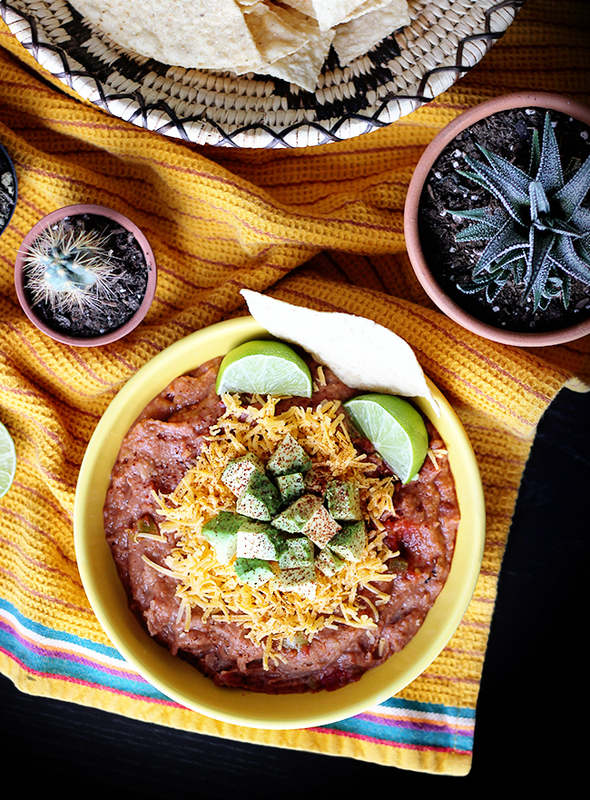 Today I thought I’d share a round up of a dozen of my favorite Mexican food inspired recipes I’ve created for Bubby and Bean over the last couple of years. 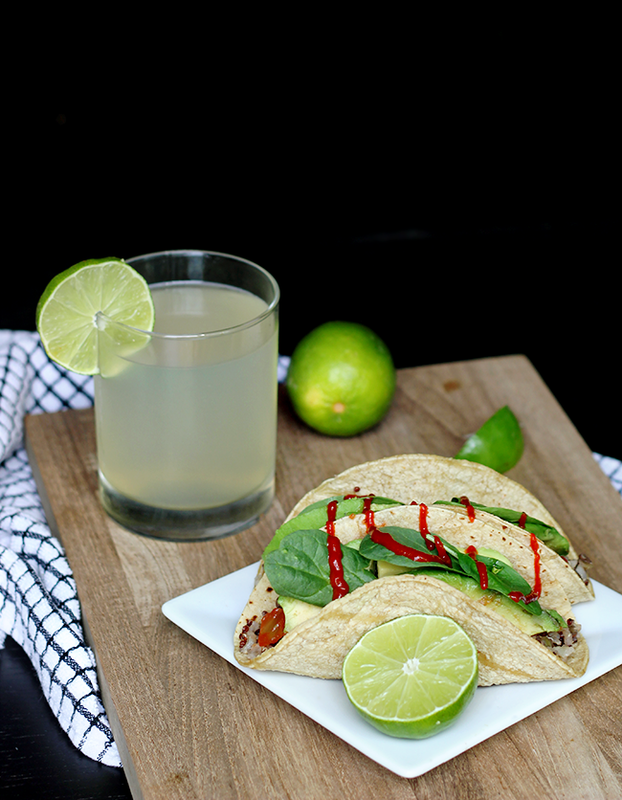 Most are my own takes and admittedly not authentically Mexican, but in one way or another they are inspired by our travels to Mexico and what I consider to be the most delicious cuisine in the world. 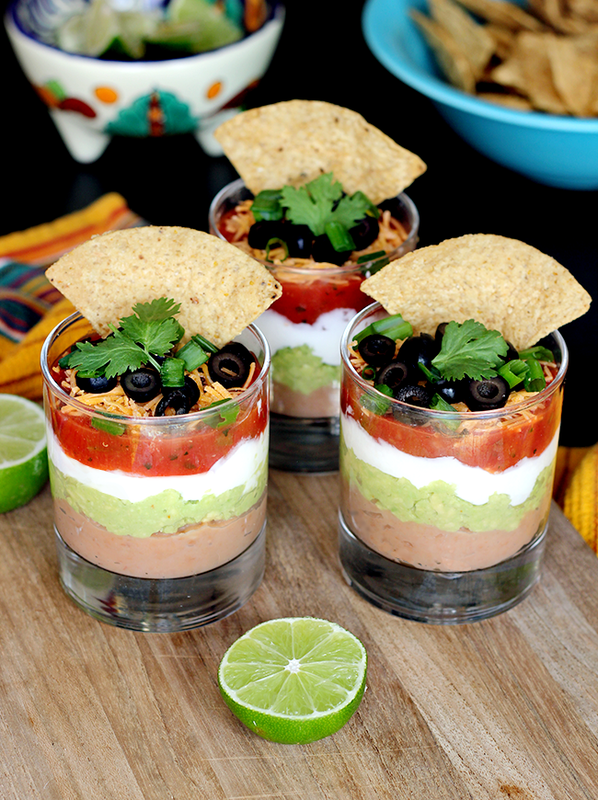 And best of all, they’re all simple and easy to prepare. 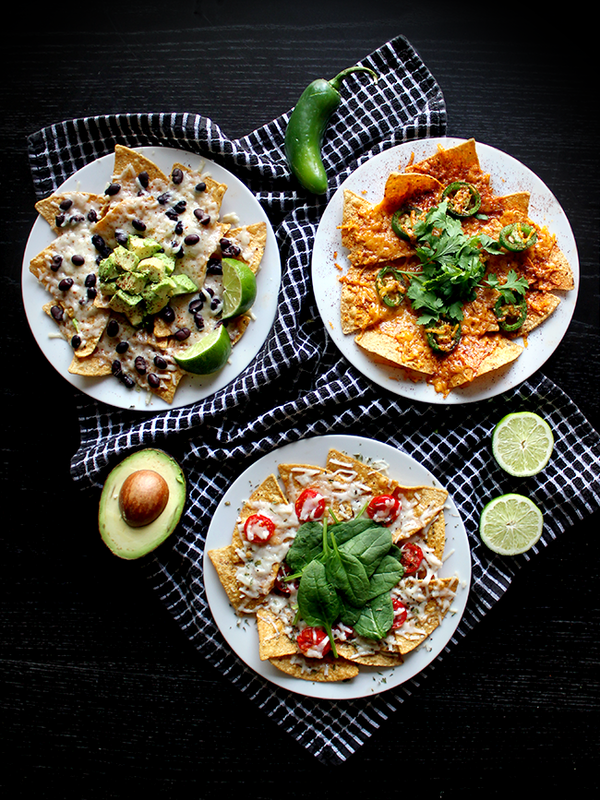 Just click on the images or links below them to view each recipe in full. 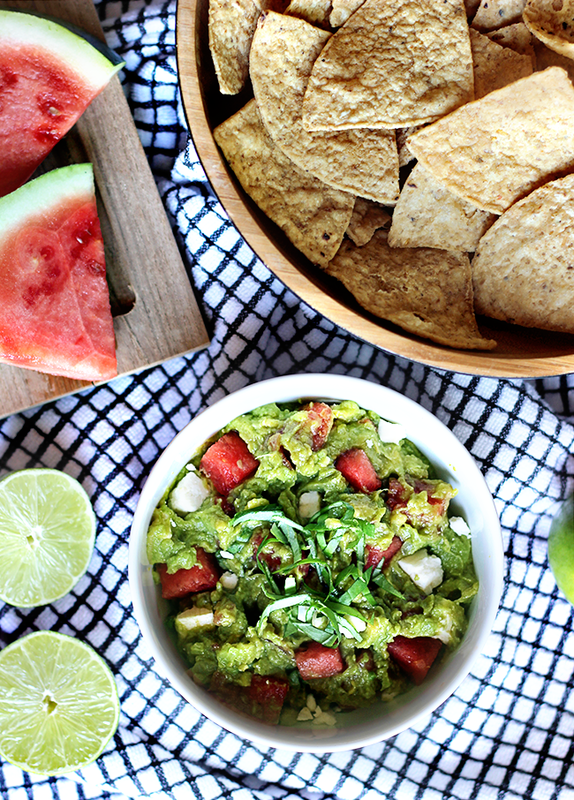 Anyone else a big fan of Mexican food? 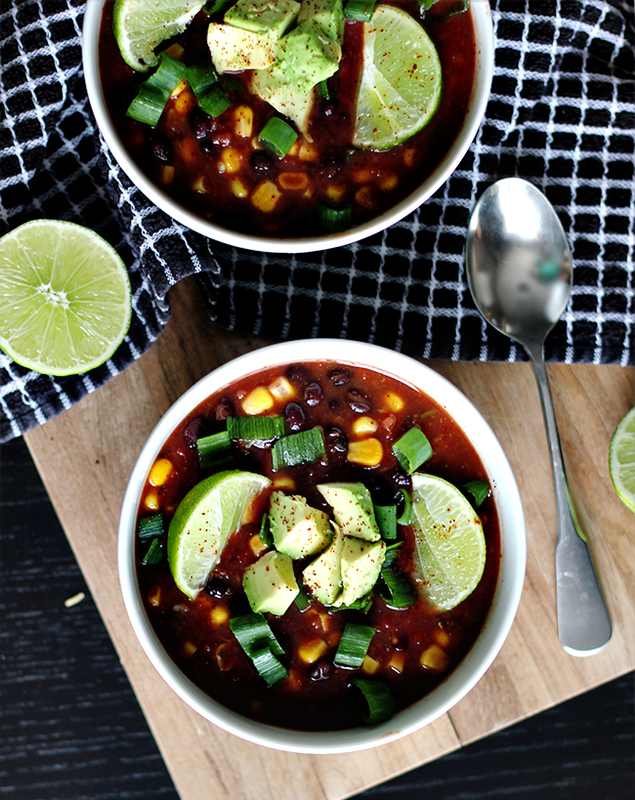 What’s your favorite recipe? Gotta’ love ‘em! Until next time, Good day, and good dog! 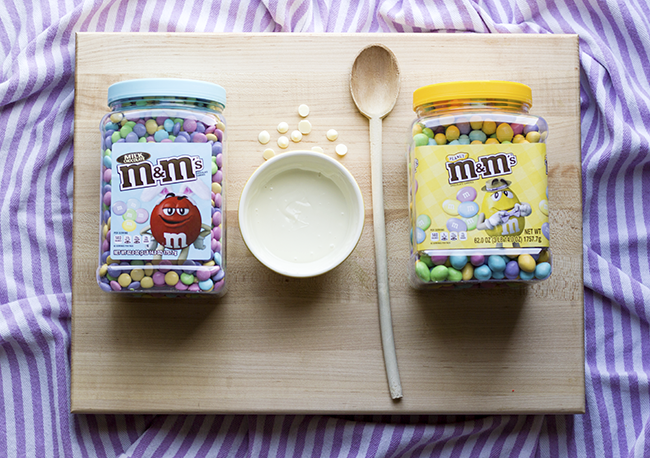 This post is in partnership with Mars Wrigley Confectionery. All thoughts and opinions are my own. You guys already know from all the gushing I do that I absolutely love springtime. 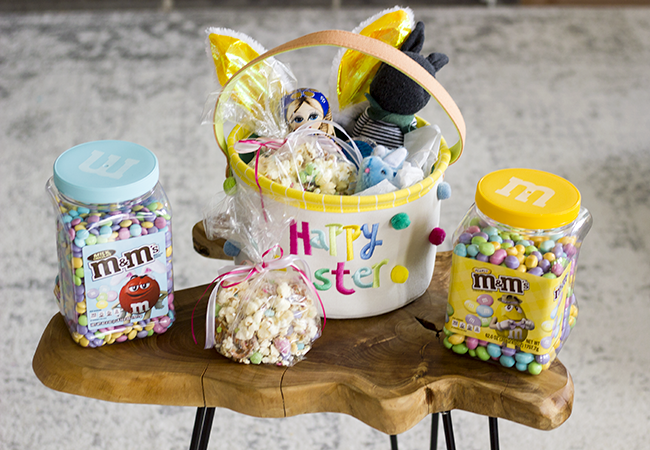 And one of my favorite parts of springtime is putting together fun Easter baskets for my little ones. 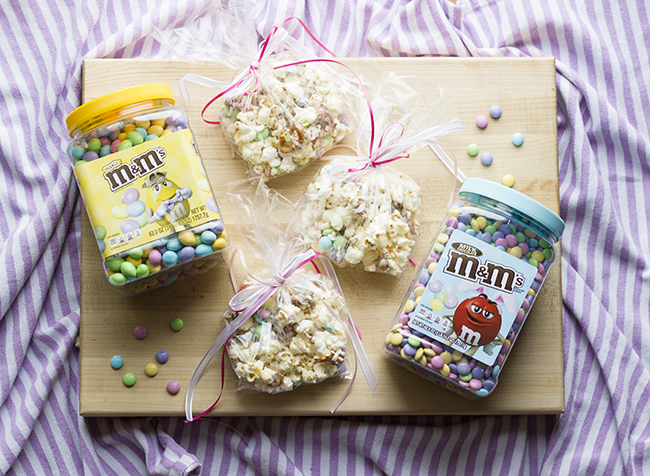 This year, I decided that I wanted to make a special snack to put in the baskets and came up with the most delicious recipe for a festive, colorful Easter snack mix made with popcorn and M&M’S® Pastel Milk Chocolate and M&M’S® Pastel Peanut candies. 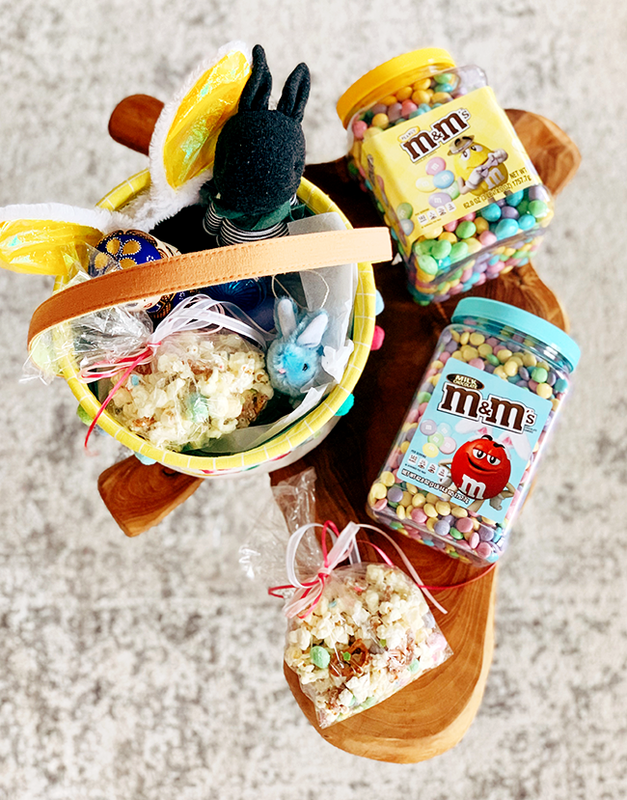 Today I thought I’d share the recipe with you, and also show how I create fun, festive Easter baskets using the snack mix and other goodies. 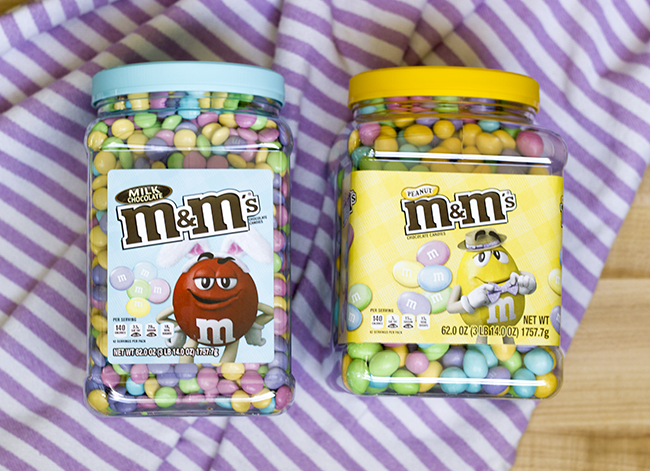 The first thing I did was head over to Sam’s Club to pick up the most important part of the mix: M&M’S® Pastel Milk Chocolate and M&M’S® Pastel Peanut Sam’s Club pantry jars. 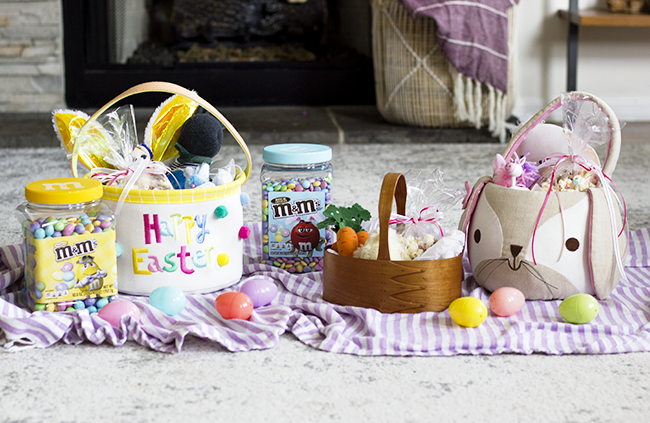 These resealable jars are an incredible value and are perfect for all of the decorating and baking I love to do around Easter time. 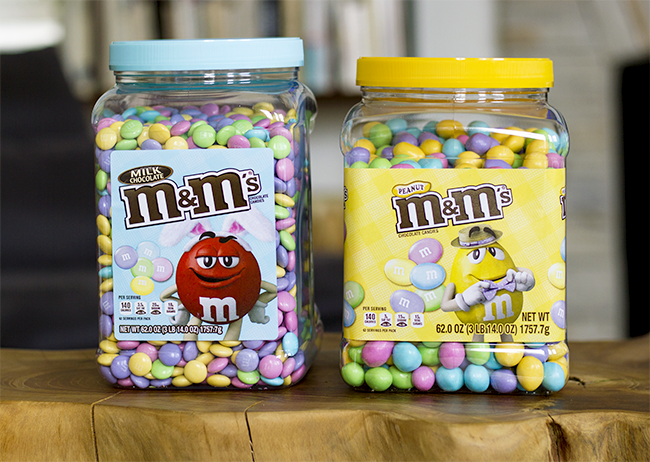 They’re also great for filling my candy dish with fun colored, festive M&M’S® candies for spring. 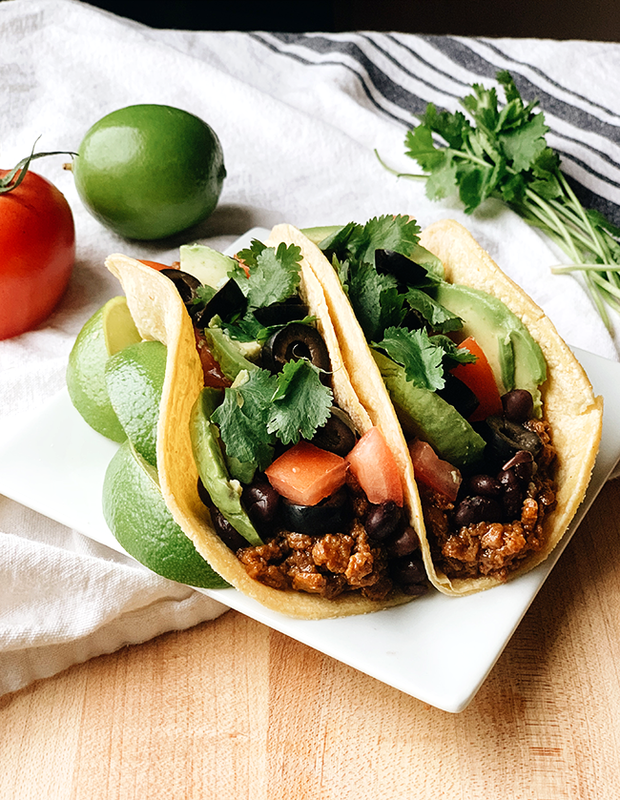 Being able to able to get items in bulk for incredible members-only prices at Sam’s Club is so convenient, especially for recipes like this when I’m planning on making a bunch to hand out to friends as well. Sam’s Club also rocks when I’m in a rush. I can order items online on their app and drive right up for them to bring them out for me. So good! 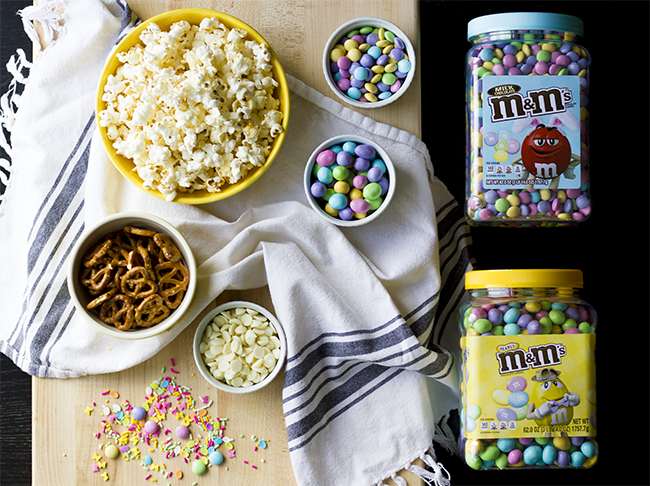 In a large bowl, combine the popped popcorn, pretzels, and M&M’S® candies. Melt the vanilla baking chips in the microwave (30 seconds at a time between stirring) or a double broiler until completely melted. 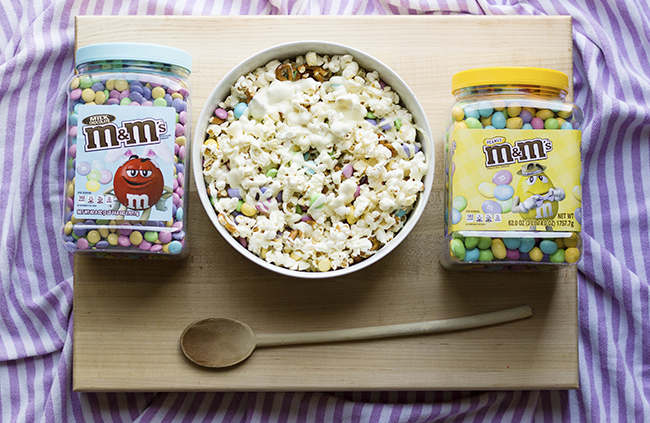 Pour the melted vanilla chips over the popcorn mixture while stirring. 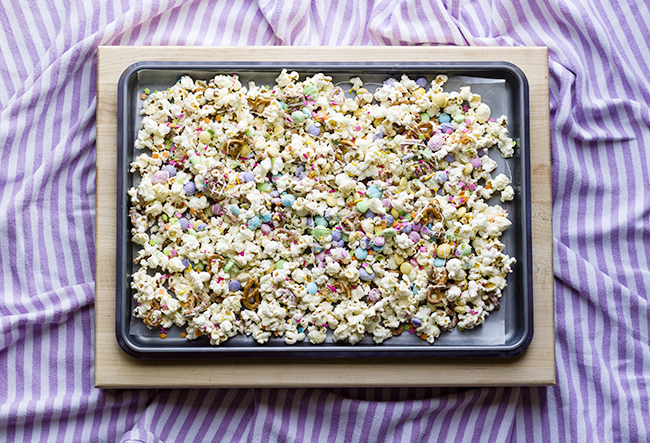 When well combined, spread the mixture evenly on a wax or parchment paper covered baking sheet, and immediately cover with sprinkles. Gently stir so sprinkles stick to the vanilla coating. 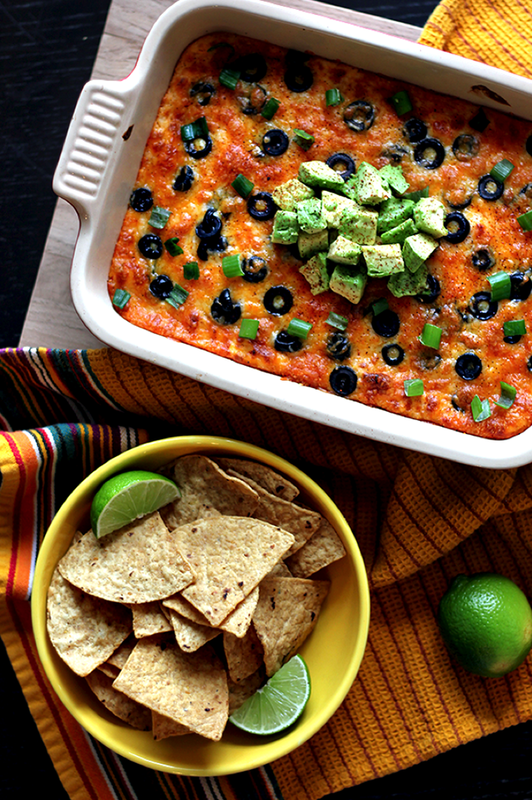 Allow to fully cool and break into pieces. 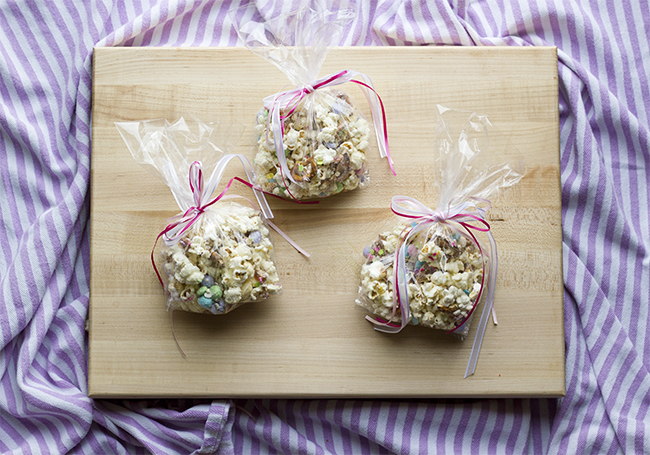 Fill party bags with the snack mix for baskets (more on this below) and store the rest in an airtight container. *Obviously these items can be changed out to best suit the interests of the receiver. My kids are young so we usually go for small toys and stuffies, crayons, bubbles, etc. 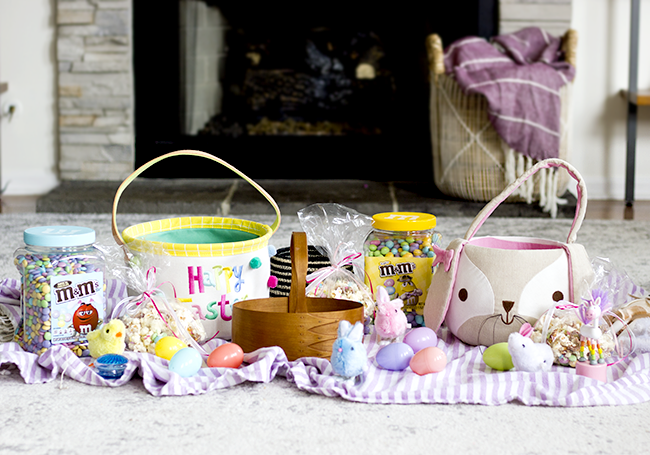 If you’re super crafty, you can always make a basket, but I’m more of a “I love to decorate but not from complete scratch” type of person, so I buy them. 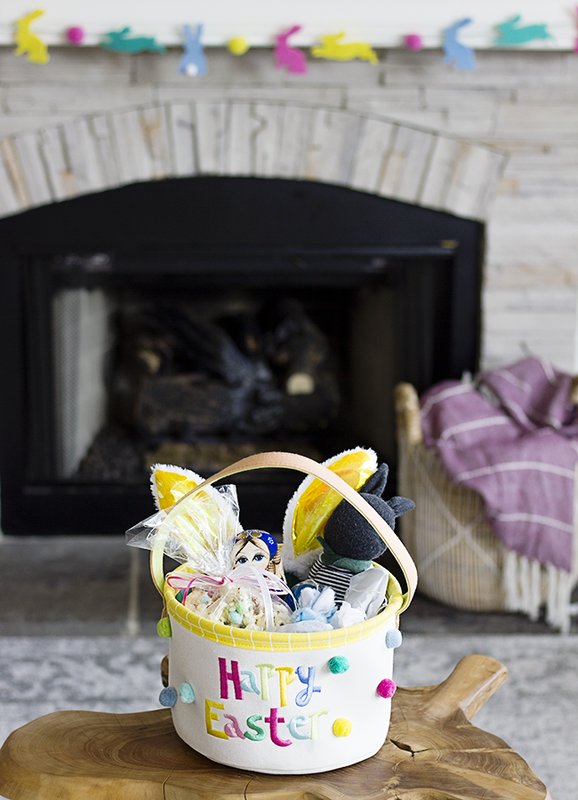 I have a thing for baskets in general, and when I choose which Easter Baskets to use for the kids each year, I try to pick ones that are well made and pretty, so they can use them beyond just the holiday. For the items to fill the baskets, I usually go for small toys and stuffed animals that I also know will be used and not viewed as disposable. 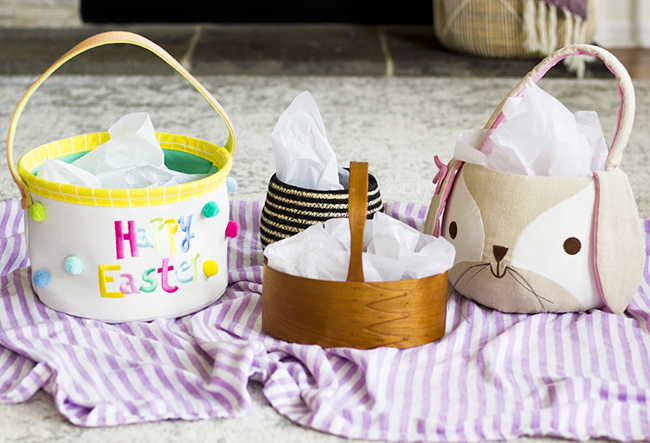 I also go back and forth on Easter grass… When I do use it, I choose the paper kind (much more eco-friendly), but lately, I’ve been trying to avoid it all together and just use tissue paper or pieces of fabric. 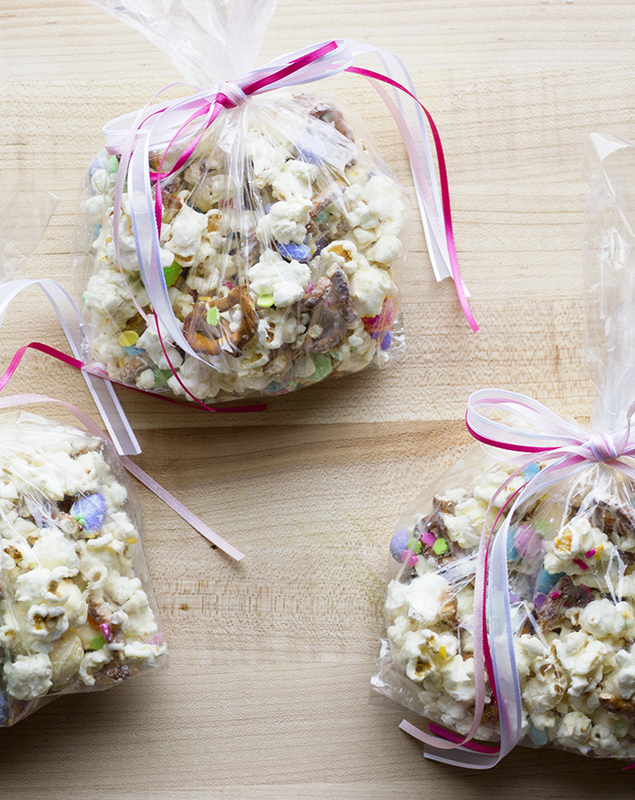 Before you put together your baskets, fill clear cellophane party bags 1/2 to 2/3 full with the Sweet Easter Snack Mix. Cut pieces of ribbon and tie bows to close. Next, place all of the items on a table (or if you’re like me and really like to spread out, the floor) along with the baskets. 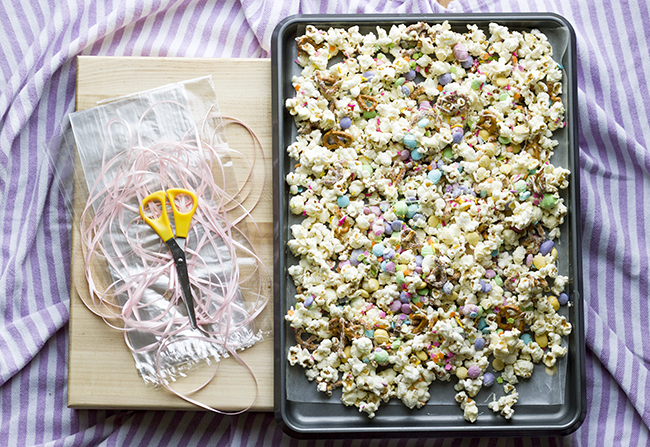 Start with filler, then add the bag or bags of Sweet Easter Snack mix, followed by the toys and stuffed animals. At this point it’s pretty much subjective in terms of finished appearance, but I recommend displaying the goodies at varying heights, with the smallest items toward the front. There are no rules other than to have fun. And that’s it! 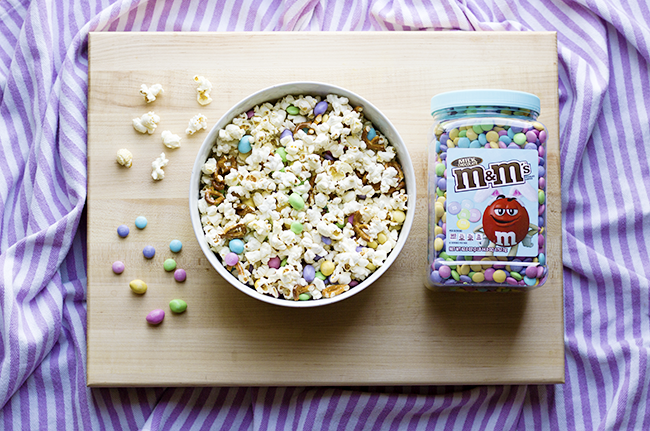 I hope you guys love this yummy Sweet Easter Snack Mix as much as I do! 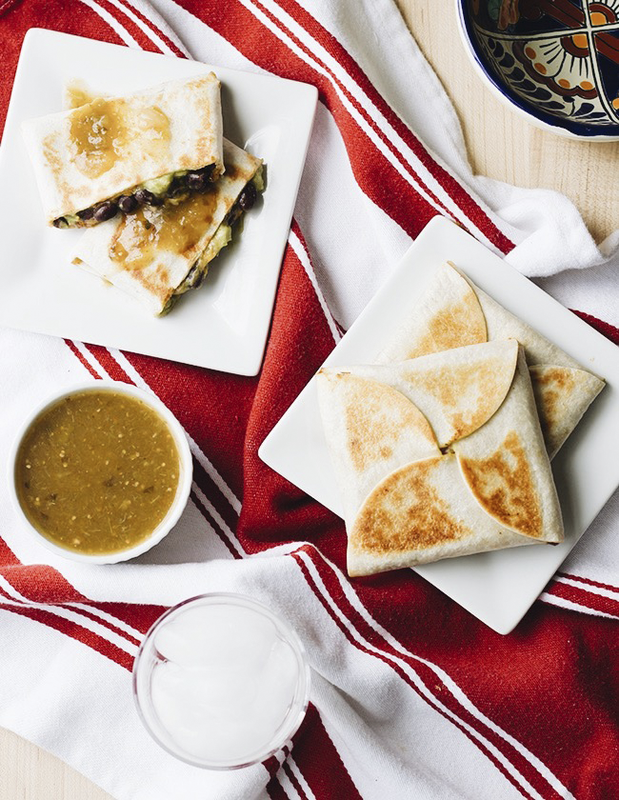 It’s so easy, and something your kids can help make as well. 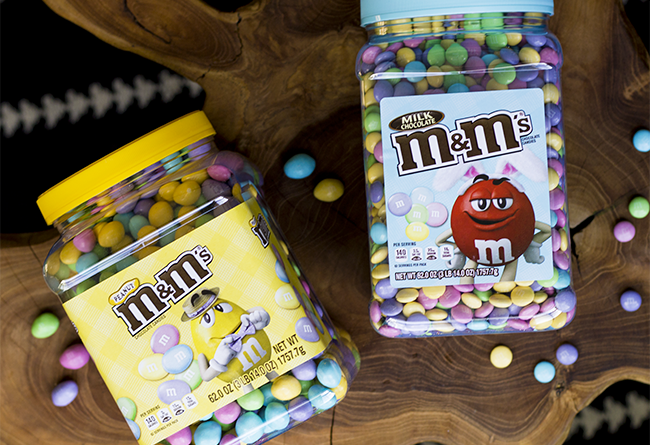 Just head to your local Sam’s Club, grab some M&M’S® Pastel Milk Chocolate and M&M’S® Pastel Peanut pantry jars from their snack area, get a couple baskets and some small toys, and you’re pretty much good to go. 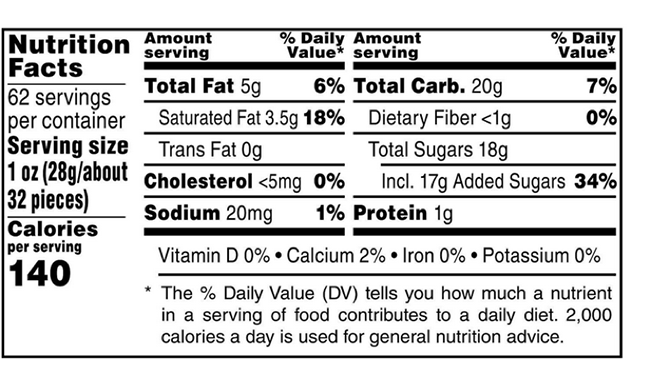 Nutritional Information: Ingredient and nutritional information can be found on packages. This post has been sponsored by Mars Wrigley Confectionery. All thoughts and opinions are my own. Thank you for supporting the brands that help make Bubby and Bean possible.